Oftentimes, a new edition of a book, particularly a third edition, amounts to little more than some added references and updates. 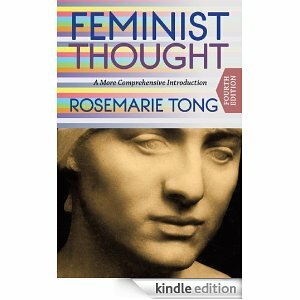 But I can assure readers that this new edition of Feminist Thought: A More Comprehensive Introduction, constitutes a major overhaul: eighteen months of drafting and redrafting. Chapters that remain substantially the same are the chapters on liberal feminism, radical feminism, and ecofeminism, though even these have significant revisions. Substantially reformulated chapters are the ones on psychoanalytic feminism and Marxist/socialist feminism. I have reassigned some feminist thinkers I previously classified as postmodern feminists to the psychoanalytic feminist fold, and I have amplified my discussion of socialist feminism in ways that better clarify the differences between it and Marxist feminism. In addition, although Chapter 6, “Multicultural, Global, and Postcolonial Feminism,” includes ideas from the second edition, I have thoroughly revised the section on multicultural feminsm, offering new interpretations of this mode of feminist thinking. Further enhancing this chapter, which is now one of my favorite chapters, is a serious effort to address the differences between multicultural, global, and postcolonial feminism. New or expanded discussions of Susan Okin, Martha Nussbaum, Chila Bulbeck, Linda Martin Alcoff, and Adrian Piper are featured. Another chapter that blends a bit of old material with much new material is Chapter 8, “Postmodern and Third-Wave Feminism.” Among the feminist thinkers now showcased are Hélène Cixous, Judith Butler, Leslie Heywood, Jennifer Drake, and Rebecca Walker. Finally, a new chapter makes its debut in this third edition. Although Chapter 5, “Care-Focused Feminism,” includes previous discussions of Carol Gilligan and Nel Noddings, equally long discussions of Virginia Held and Eva Feder Kittay have been added.